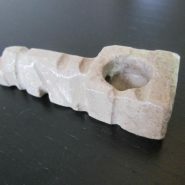 Home > Shop > Nice handmade Stone smoking weed pipe. Nice handmade Stone smoking weed pipe. New Nice handmade onyx Stone smoking weed pipe 3" long. come with free pipes screens. on sale now! Smoking stone pipes is really all about relaxation. Since smoking pipes was discovered.